A hotspot for culture and creativity, Covent Garden provides a vibrant backdrop for our Longacre store. 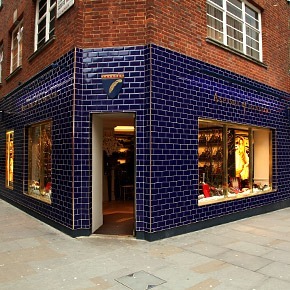 Look out for our blue tiled store front and discover an array of Aspinal favourites to browse. From our sumptuous leather handbags to our award winning travel accessories, find the perfect piece to add to your collection and add a unique touch with our bespoke in-store personalisation service. Gentlemen with an eye for style are catered for here, with a refined selection of belts, cufflinks, gloves and wallets. For the ladies, our statement Chameleon Tote, flawlessly crafted jewellery and playful keyrings are a shortcut to chic elegance.